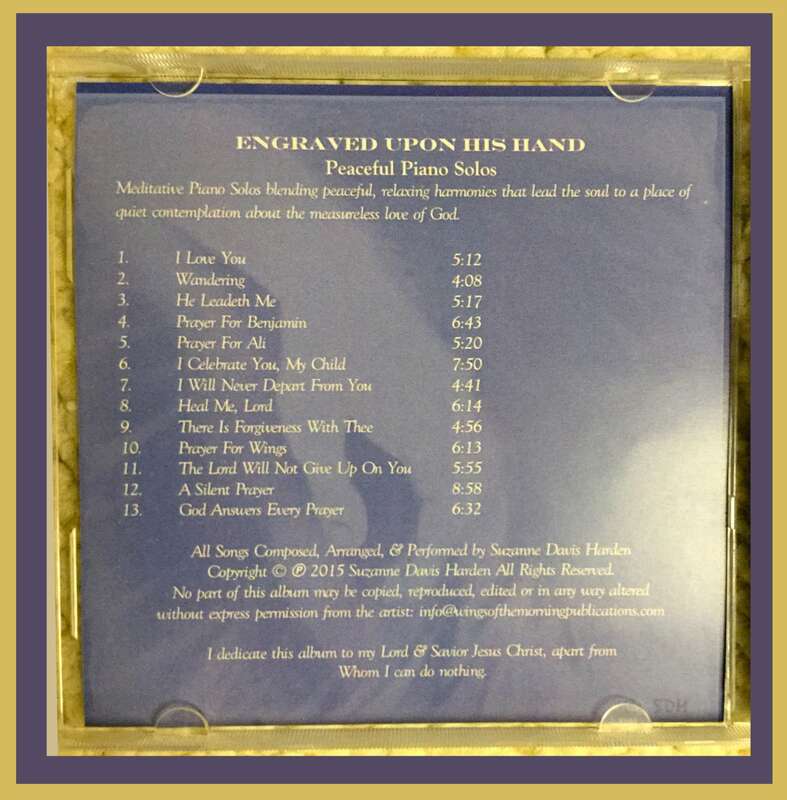 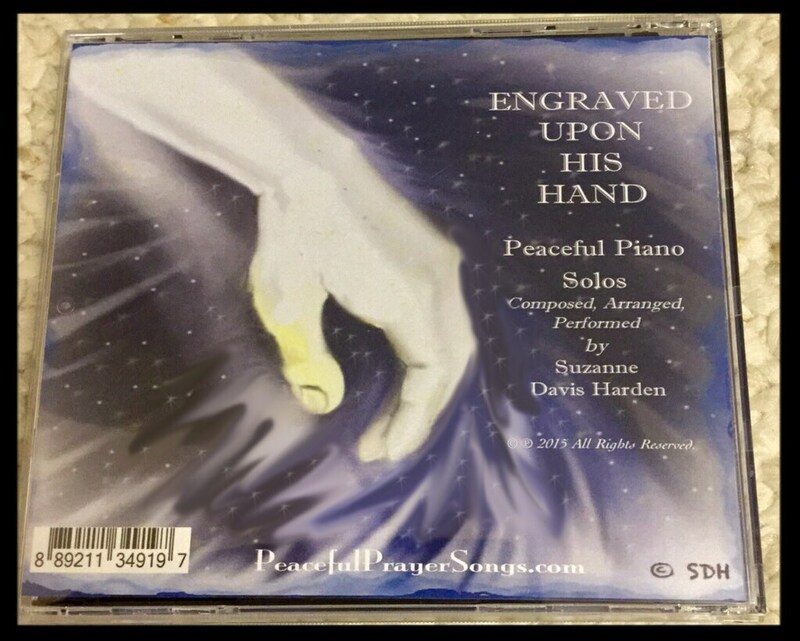 "Engraved Upon His Hand" is an Audio CD that you can play in your car or any cd player. 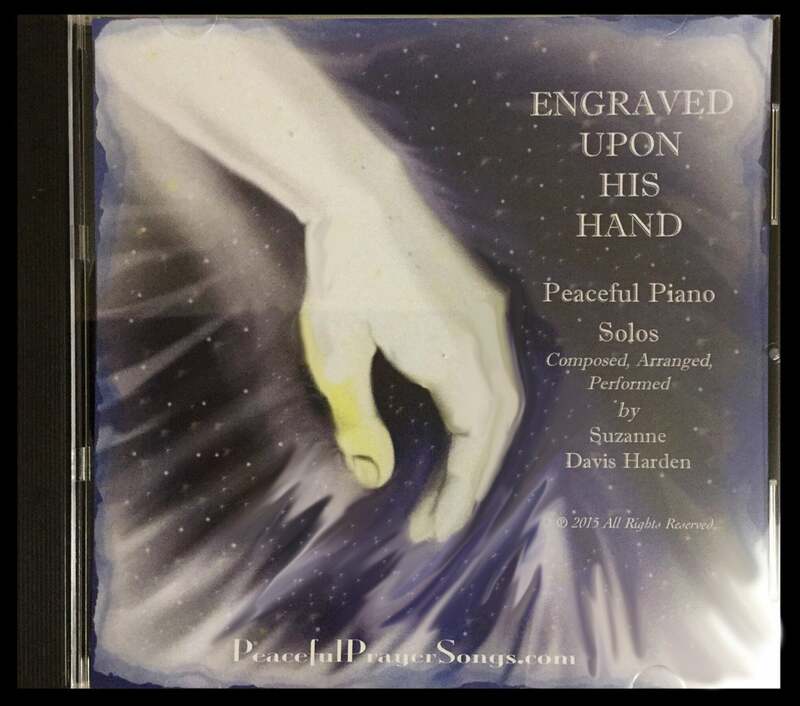 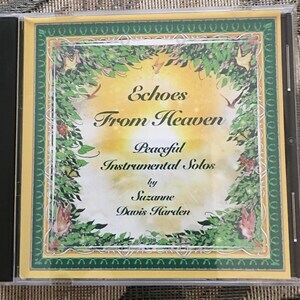 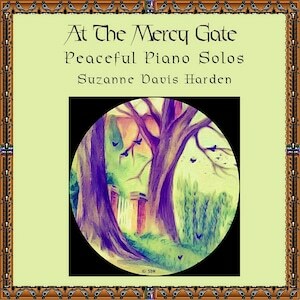 This instrumental album features peaceful, meditative piano solos inspired by the Lord which evoke His measureless love for all people woven into every note of each composition. 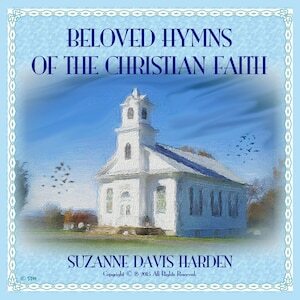 The Bible proclaims that God cherishes the people that He made. 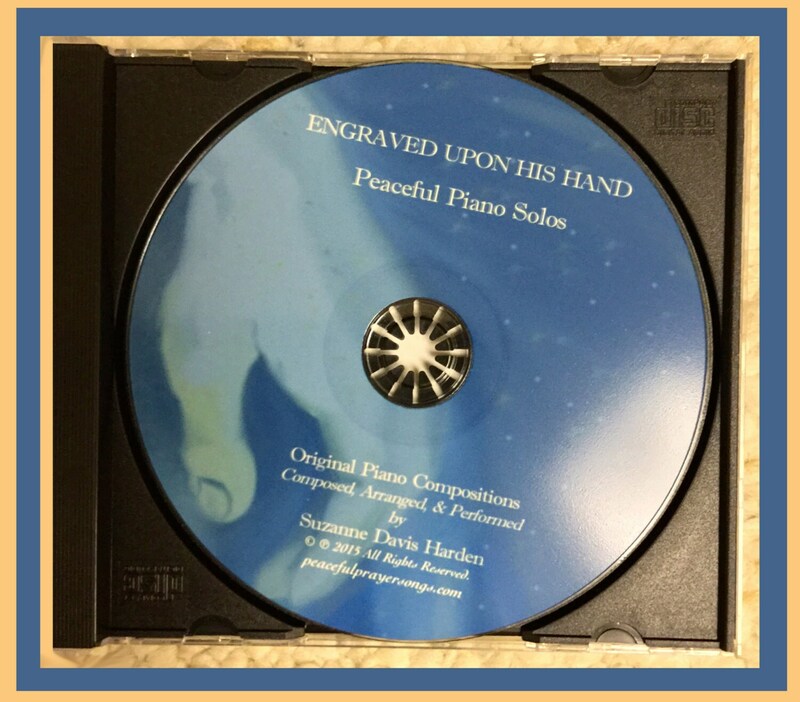 If you prefer audio CDs to Digital Downloads then this product is just for you! 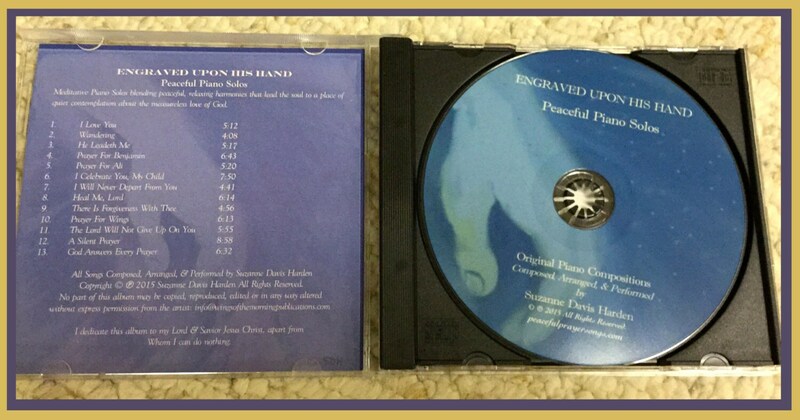 Ships via USPS First Class within 1-3 days. 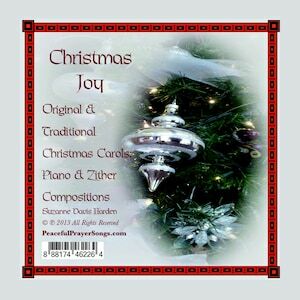 Music CD- Christmas Joy - Songs of Peace and Joy to fill your Heart with the Spirit of Christmas!